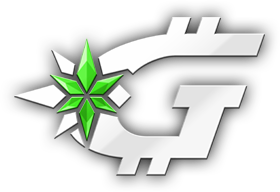 Welcome to Ganja.com’s GNJ Bounty Program! Our Ganja Token community is growing by the day and we’re always thinking of new ways for our token holders to earn bonuses and GNJ rewards. Our goal is to spread the word about GNJ all over the world and ultimately change the way the entire Cannabis industry distributes its products. If you are not yet a member of the GNJ Bounty Program, you can sign up using the link below. Usage of Ganja.com indicates acceptance of Ganja.com's Terms & Conditions.